"I travel to Melbourne on the 5th of December to teach a 2 day Mixed Media workshop in Murrumbeena, Vic." I am also teaching a mixed media workshop for Fay Boyd's Fine Arts. 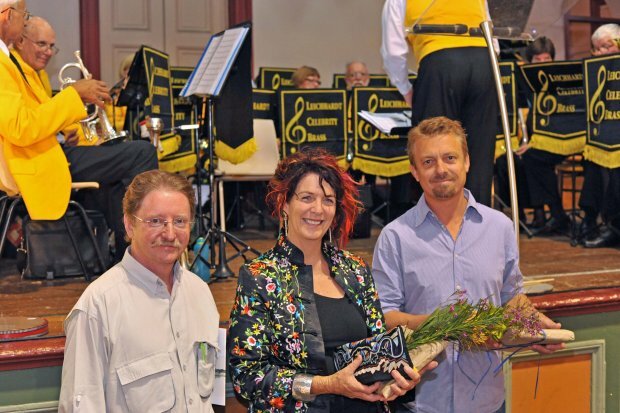 formerly of Grafton Artsfest, from the 21st of September to the 25th September, inclusive, at Grafton, NSW. On the last weekend of September I shall be joining with my yoga friend Rose Hawkins (www.rosehawkins.com.au) for a combined Art & Yoga weekend in Montville." Future artist - my grandson Zachary at work! "I am currently doing a commissioned triptych for a Zilzie client. I have another commission after that of a personalised painting. I did a 2 day work shop for people with special needs in January. It was free form sculpture with recycled objects and lantern making & basketry. It was highly successful. It was held at the CRC (Community Resource centre) Biloela. 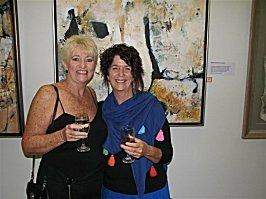 in Montville (Art & Yoga) the weekend before, with my friend Rose Hawkins, who owns and runs a yoga retreat there. 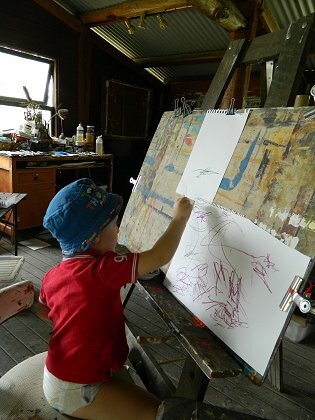 During the first week in September school holidays I am teaching in Grafton for Fay Boyd's Fine Arts School." You can connect with Sarah via her Facebook page! Sarah also manages the Biloela Yoga Facebook page. Sarah reports: "The opening night went very well with 200+ attending and a very good response from those attending. The exhibition looked stunning and my thanks to Bill and everyone from the Leichhardt Municipal Council for all their hard work." Three of the artists who took part: Bill Gannon, Sarah Larsen and Jason Benjamin. 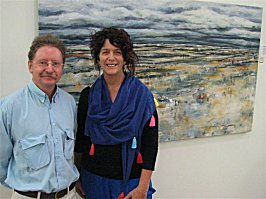 Bill Gannon (Leichhardt expert & artist) and Sarah, with her "Potentiality 2". 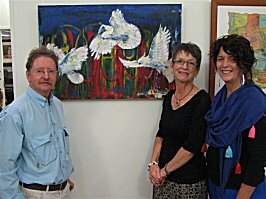 Bill Gannon, Sharon Kirk (from Rolleston Art Group), and Sarah with one of Sharon's works. Cheryl Liddell and Sarah with Sarah's "Echoes Mined Across the Land". Opening night in Biloela of the "Looking into Leichhardt" exhibition was attended by an enthusiastic crowd of around 80 people. 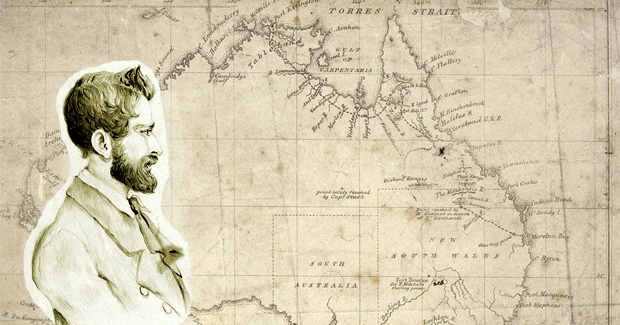 Sarah was involved with the Leichhardt Project for around 18 months, in 2012 & 2013. The other artists on this project were Bill Gannon, Jason Benjamin, and Cathy Snow. It culminated in an opening in Sydney in October 2013, at the Leichhardt town hall, where it was enthusiastically received. The works then were displayed at the German Embassy in Canberra. Biloela was the next town to showcase this historic exhibition. 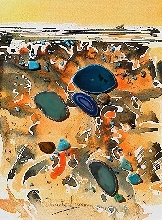 The exhibition runs until the end of February, and then travels to Emerald and hopefully all the way through to Darwin.